When Cody Wilson first put blueprints online in 2013 containing instructions on how to 3D-print a plastic, untraceable firearm, gun enthusiasts responded by quickly downloading the how-to file over 100,000 times. It didn’t take long before eyebrows were raised in the State Department, which then ordered Wilson to cease the distribution under the condition that he was violating federal export laws, as downloaded instructions began circulating outside of the United States. Wilson would have faced fines and jail time if he didn’t comply. Reversing a stance taken by the Obama administration, the ruling means that gun-manufacturing instructions can be downloaded online by users who can then put the printing techniques to practice in the comfort of their own homes. The surprising decision sent an inevitable shockwave through the ever-increasing chasm between parties in favor of and against additional measures of gun regulation. Gun safety advocates and law enforcement officials fear that an unserialized firearm that doesn’t require background checks and won’t set off metal detectors is the quintessential weapon of choice for criminals and terrorists. In response to the ruling, multiple gun control groups filed an appeal to try and halt the circulation of Wilson’s blueprints. 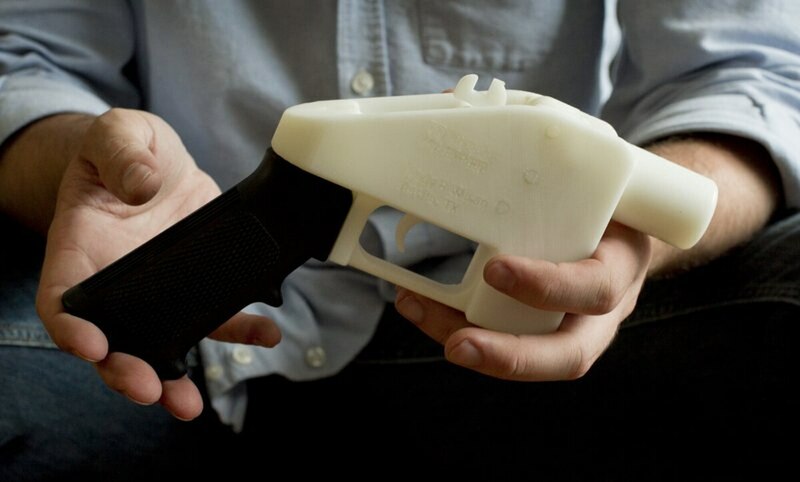 Gun industry experts, however, argue that the 3D-print process doesn’t actually enhance a criminal’s ability to attain or assemble a firearm any more effectively than current illegal methods. The exorbitant cost of the printer would also discourage most criminals from even attempting to manufacture a gun that experts say is incredibly unreliable. The Marine Corps is looking to additive manufacturing as a possible method to build spare parts rapidly in the field, which could reduce the heavy burden of a long logistics tail out to the tactical edge. Printed firearms are generally inaccurate and fall apart after firing only a few rounds, experts say. They also have to be manually loaded, holding only one or two rounds at a time, since they are incapable of holding magazines. When the Bureau of Alcohol, Tobacco, Firearms and Explosives tested a gun made using Wilson’s blueprints, the firearm broke apart after firing only one round. Despite the unreliability of the handgun, Defense Distributed plans to offer additional instructions on printing semi-automatic rifles, but experts expect those will feature the same type of functional flaws. Wilson vowed on Twitter to begin releasing instructions on Aug. 1. Gun control groups, meanwhile, continue to race against the clock to try and prevent the release. What do you think of the State Department’s ruling to allow the circulation of instructions for 3D-printing of firearms? Be sure to take our poll above to tell us what you think.